Struggling to get an accurate FOOD, BEVERAGE,LABOR and PRIME COST? BACON is the fastest and easiest tool available. If you are wondering why there is never enough money at the end of the month, it is likely because you are not creating a restaurant budget and then tracking your sales purchases again it. 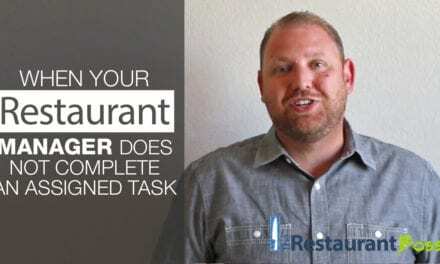 Just the simple act of creating and measuring your Food, Beverage and Labor costs against a restaurant budget will increase your profits and decrease your expenses, but until now this is has been very difficult to do. Let me show you an easier way! 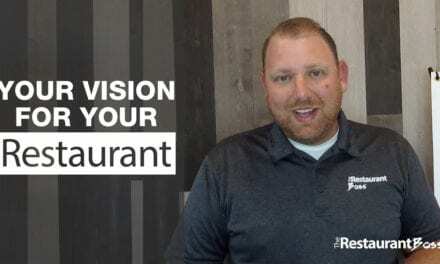 Today I want to show you how easy and important it is to Create a Budget for Your Restaurant. 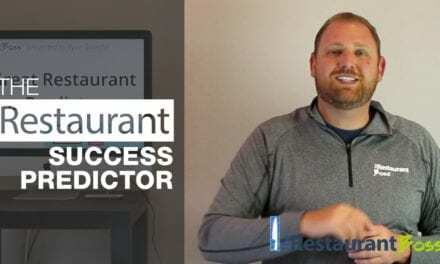 www.RestaurantProfitandPerformance.com. Like I said earlier today…I want to show you how easy it is an important it is to create and have an operating restaurant budget. Without a restaurant budget, imagine shooting a rifle into a stack of hay. Yeah it’s fun! You just fire the trigger and you see a little piece of hay go off. But that’s a hobby. If you want to get improvement? If you want to become a great hunter, you have to be able to hit a target? Then you need to put a target out on that hay so when you fire your rifle, you’ll know if you’re low; or if you’re high; or if you’re left; or if you’re right. In your restaurant it’s kind of the same thing. If you’re not measuring stuff? And if you’re not measuring against a target— against a budget, then you’re just kind of treating it like a hobby. Let’s be honest here, it’s something that you’re doing for fun but you’re not taking it seriously. You’re not digging into this as a business, because if you were then you would know what your target is, you would know where you are on track, or if you are off track of that target. Well I started keeping track of a few key stats and my game started getting a lot better! Just from the effort of keeping track. 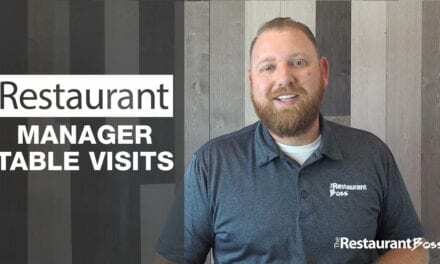 So let’s go inside my computer and let me show you how easy it is to create a restaurant budget and what that information is going to mean to the profitability of your restaurant. All right now, I just quickly want to show you how simple it is to create a budget in your restaurant. If all you’re going to do is track your food cost and your labor cost just that simply? Then literally on a piece of paper write down what you’re going to do in sales for the month, and then what your target cost of goods sold is in each category. So let’s say you’re going to do a hundred thousand dollars in sales next month. and you want to have a 30-percent food costs and a 30-percent labor costs… well then 30-percent of a hundred thousand is $30,000. So for your food cost, you can’t spend more than $30,000 on food or you’re going to miss your food cost. So just track your food purchases as you go throughout the month. and make sure that you don’t spend more than thirty. Same thing for labor…when you create your schedules use some kind of a costed schedule to make sure that you don’t go more than $30,000. And then you’re going to stay on budget; you’re going to hit your prime costs; and everything’s going to be great. But for most of you, you don’t really have an easy and efficient way to do that. it’s great to just write down the numbers on a piece of paper but there’s no way for you to really track your purchases and track your labor. So I want to quickly show you in the software that I’ve created here how you could really easily create this budget. You just put in your target sales for the month. So let’s say its $50,000. And let’s say that food represents 50-percent of your sales. And you have a target food cost of 28-percent. Let’s say that draft beer represents 10-percent of your sales, and draft beer has a target cost of goods sold of 18-percent. Bottle beer (let’s just use easy numbers) represents 10-percent, and you have a cost of goods sold of 24-percent. Let’s say that wine 10-percent again, and you have a cost of goods sold on wine of 33-percent. And then liquor represents that last 20-percent of sales with a poor cost—the liquor cost of (let’s go back to let’s just say) 19-percent of your target. Well now you can see your total cost of goods sold is going to be approximately 25-percent if you hit these numbers. Now we can come over here to this Dashboard, and then as we enter in sales and purchases on a daily basis. This is going to tell us how we’re doing on our target in each category. It’s going to actually give us a bunch of different reports here, so we can see how we’re doing. Again the purpose of this video is just to kind of express to you… 1. How Important A Budget Is. And 2. Let’s you know that if you’ve wanted to create a budget but you haven’t really had the right tools, or you just haven’t quite figured out how to do it—that we have a tool available. If you’re interested in taking a look at the software a little further somewhere below this video, or on this video they’ll be a button that you can click to learn more about it. I hope that this was helpful for you, have a wonderful day.